There are lots of threats which governments are either ignoring or causing. I am filling in the gaps. Overconsumption is reducing our planet’s ability to support life. Seven of us exist for every person alive 200 years ago! 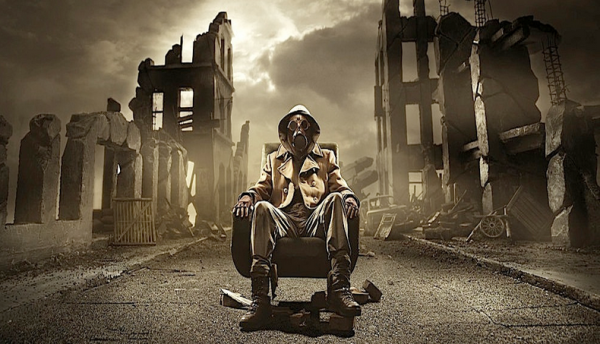 Nuclear war, bioweapons, even plain old conflict are driven by resource scarcity. Good engineering could at least double how far our resources can stretch, the rest has to be done by demand reduction: living within planetary limits. But governments do not fund engineering solutions to political problems, except in war, so the technologies which could bring plenty to the world (or at least more room for manoeuvre) are largely unfunded or undeployed. A likely response to increasing resource scarcity (manifest as economic problems and rising prices) is centralization of power (fascism). In the past, hard right-wing governments have come to power during and after economic collapses, leading to unnecessary wars or even genocide. Democides (governments turning on their people) killed a quarter-billion people in the 20th century. Finding better solutions than centralization and war is my life’s work. To this end I’ve worked extensively with government, the military, some large companies and think-tanks – but most of all with the Free and open source community – to solve real problems. For maximum leverage I’ve done most of that work as a designer and model-builder, rather than managing demonstration projects.